When it comes to storytelling, the difference between a good story and a bad one is the emotion the storyteller puts into the narrative. At Pure Melon we know the emotional core of your story is the single most important factor to maximizing impact. You have a message that needs to be heard – and remembered. This requires connecting with your audience in a way that inspires them and leaves a lasting impression. At Pure Melon we bring your message to life in an engaging way that leads to action. We know that putting the fate of your message into the hands of an outside operation can be risky – which is why it is so important to choose a partner you can trust. If your event doesn’t bring the energy you need, or your company’s spotlight moment falls flat, you’ve not only wasted a key opportunity, you’ve wasted significant amounts of time, energy and money. With Pure Melon you are certain to create the desired impact. Our highly-skilled team of professionals knows how to bring your event to life and drive a connection with your audience. Whether you need creative solutions…from content and graphics to highlight videos, or full-service event solutions, we’ve got you covered. Based on your needs, we partner with you in each stage of development. We’ll start by helping you craft your message and find the right elements to enhance your brand. Our innovative team of creatives and technicians stay with you throughout your entire process to deliver top-quality, seamless events and unforgettable content. No project is too big or too small for us. Give us a call today to schedule a meeting. Wherever you are, we will come to you and bring the life and energy that makes your brand unforgettable. Don’t leave your brand message in the hands of someone who lacks innovation and expertise. Leave the worry behind and captivate your audiences with Pure Melon. Our team is fully invested in your success and dedicated to exceeding your expectations. We truly enjoy what we do and will continue going the extra mile for our clients. Whether it’s an event amplified with innovative design and cutting edge technology or captivating graphics and highlight videos, our creative team is dedicated to making your brand unforgettable. Our team knows the formula to creating dynamic atmospheres and engaging media that connect with audiences and inspire them to take action. We’re your one-stop, full-service lifetime partner in creating unforgettable experiences. Our team stays with you throughout your entire process. Relationships are the foundation of our business. We aim to partner with you for the long term and be at the heart of your brand…bringing it all to life. Integrity is our top priority. We believe that if we focus on taking care of people, the bottom line will take care of itself. Our dedication to quality shows up in everything we do. It is our goal to exceed your expectations and provide world-class service. More Than A Production Company "Since their beginnings, it’s been my fortune to work with Lance and the Pure Melon team. They’re more than a production company, they are invested partners. Pure Melon’s creative talents, expertise in design and content is equally matched by their patience, flexibility, and pleasant personalities. Every member of the Pure Melon team seems genuinely happy to work with the company and their clients. Regardless of the project, audience, budget or time constraints Pure Melon has proven to be a trusted “go to” to get the job done well." Vice President, Domestic Airport OperationsDelta Air Lines, Inc.  Leads By Example “I would like to express my sincere appreciation for Pure Melon's service to us and the American Cancer Society Hope Ball. Starting at day one, Pure Melon has provided us with the highest quality in expertise and experience. An event such as ours involves many partners. Pure Melon leads by example and is always incredibly flexible while maintaining the highest level of professionalism. We could not do it without you!"